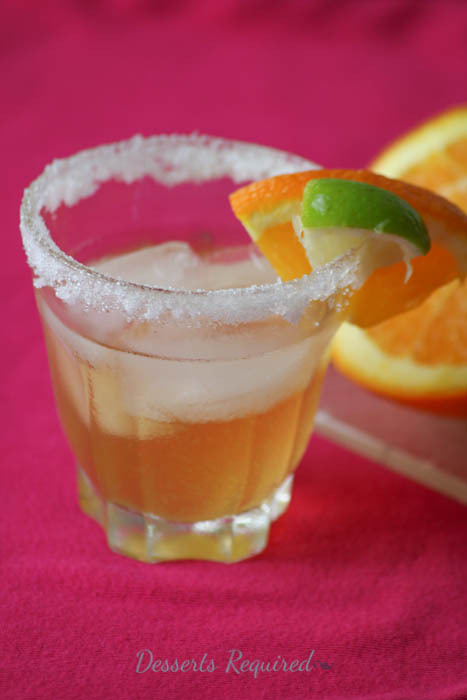 Sweet and Sour Margaritas are the perfect way to celebrate Cinco de Mayo here in South Florida. Actually, they are great everywhere, even in Mexico where the holiday originated. Cinco de Mayo commemorates the Mexican Army’s win over the French in the Battle of Pueblo during the Franco-Mexican War. The war was not over, so the celebration was probably not as exciting as one would think. My celebration, however, is very exciting. The ‘sweet’ comes from the sugar around the rim of the glass. The sour is credited to the lime juice. Sweet and Sour Margarita’s are designed to make life easy. You don’t have to own a shaker and I chose to use agave to sweeten the margarita because, let’s face it, most people don’t have simple syrup lying around. 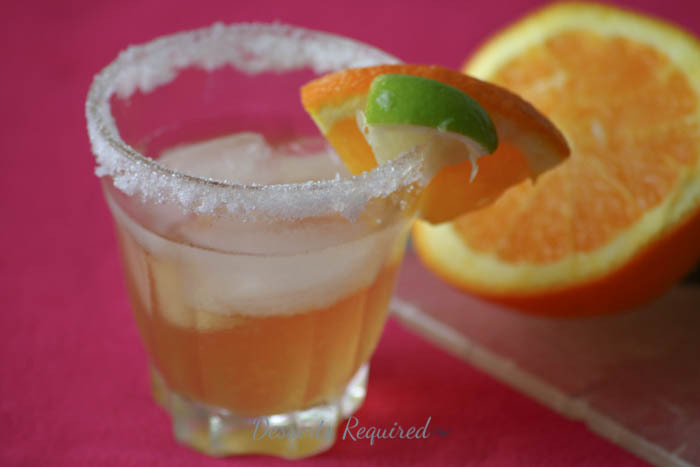 The tequila, orange liqueur, rose’s lime juice, fresh lime juice and agave are stirred in a measuring cup and poured over ice in the sugar rimmed glass. My guess is that in on May 5, 1862, the soldiers did not celebrate with margaritas, but if they had one this delicious, I’m sure they would have downed more than one. Cheers! Wet the top of the glass with water and then dip the glass into sugar to coat. Refrigerate until needed. Combine the tequila, orange liqueur, Rose’s key lime juice, freshly squeezed lime and agave into a measuring glass. Stir well. Place ice cubes into the glass and pour the drink into the glass. 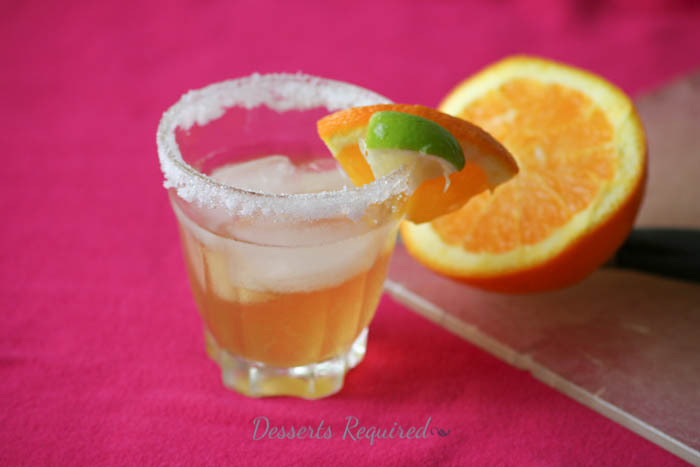 Garnish the Sweet and Sour Margaritas with an orange wedge and a lime wedge. This recipe may be multiplied to accommodate the desired number of servings. Yum! Is 12:30 in the afternoon too early to start? It is 5:30 p.m. somewhere!!! Oooh, I love the look of these! Especially the sugared rim…gorgeous!!! Bottoms up, my friend!!! Thank you so much. Can’t wait to clink glasses at the Food and Wine Conference this summer! What a pretty color your sweet and sour margaritas are, Betsy! I’m going to give them a try this weekend. Thanks so much and CHEERS!!! Going to try this! Very impressed with your staging and photography as well as your drink recipe!